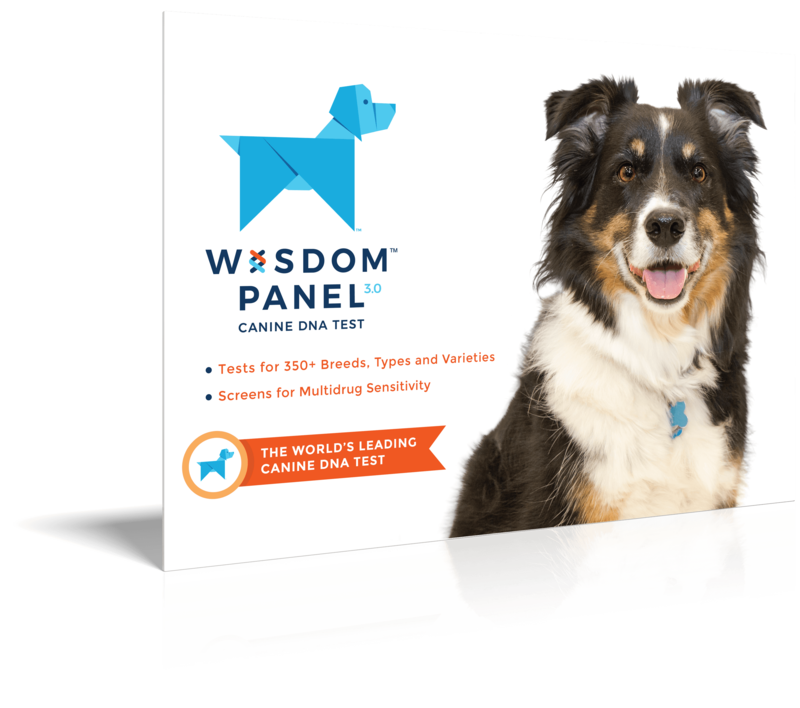 There is no mistaking this breed’s ancestry when you first see their wolfish good looks. May be suspicious or cautious around strangers requiring careful socialization with rewards to prevent or reduce fear-based defensive aggression. 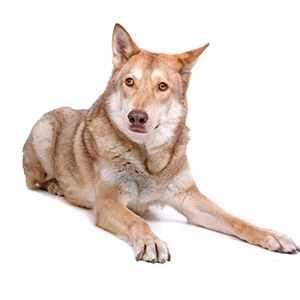 This breed is easy to house train but benefits from a strong owner becoming its "pack leader". 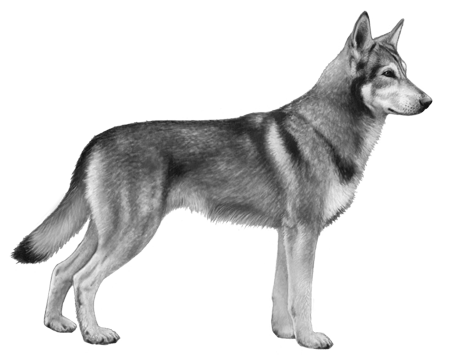 In the early 1930’s a man by the name of Leendert Saarloos in the Netherlands began breeding German Shepherds with Wolves. His goal was to bring back some of the fundamental behavioural characteristics he felt German Shepherds had lost. 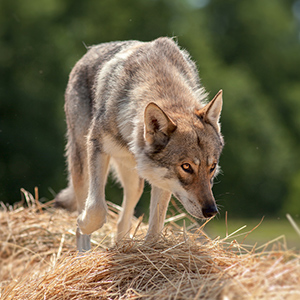 His experiment backfired when it turned out this new breed, the Saarloos Wolfdog, exhibited the contradictory characteristics of caution, reservation and lack of ferocity. 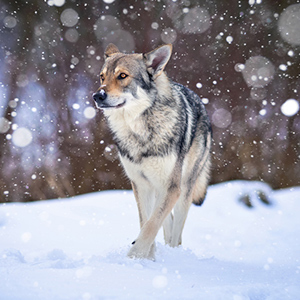 There is no mistaking this dog when you come upon them as they look…as one would expect…very much like a wolf. 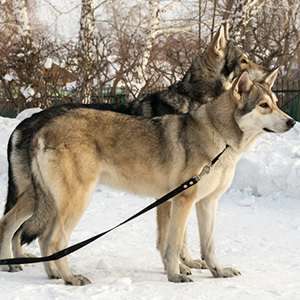 Featuring a thick, double coat with harsh, straight hairs and a soft undercoat, their colouring is distinctly “wolf” grey and red, or pale red. 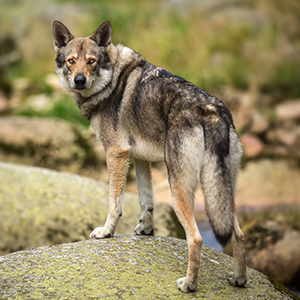 Large in size they have long front legs and the powerful hind legs of a German Shepherd. Upright or “prick” ears and a full and bushy tail that, also, like the German Shepherd Dog, hangs low and often almost between the legs. As might be expected of a breed derived from such a recent ancestor to the wild, these dogs are typically reserved toward strangers and may appear to be aloof. While protective of their family or human, they may need help to socialize and live with a full household or one with other animals.